According to government statistics, about 21,000 metric tons of shark are landed in the nation’s ports each year. 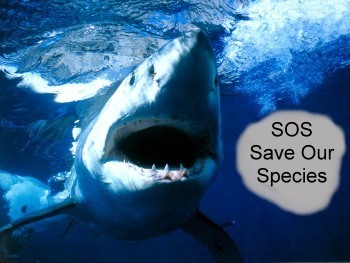 However, many studies have suggested that shark populations are in decline due to overfishing. A series of conservation strategies are being guided by on-going research into shark populations undertaken by scientists attached to the National Fisheries Institute (Inapesca). As part of Mexico’s efforts to conserve shark populations, the National Fisheries and Aquaculture Commission (Conapesca) has announced a seasonal ban on all shark fishing in Mexican waters. The ban will be in place each year for the main breeding period, May to August. Several other Latin American nations are enacting similar measures. A representative of shark fishing cooperatives in Mexico said fishermen will fully support the closed season for shark fishing but would expect some compensation for having their boats confined to port for several months each year.